The Fellows Council consists of eight Hastings Center Fellows, elected for two year terms, renewable once, and the Center’s President. 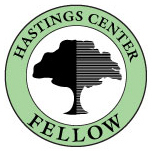 The Fellows Council is responsible for facilitating Hastings Center Fellows’ involvement with the work of the Center and many other duties. Read more about the Hastings Center Fellows Council and Mark Hall.